Whether it's to keep monsters at bay or to help you find your way around at night, a night light has a number of purposes. It can help you quickly fall asleep and keep you safe at night (so you won't have to worry about late-night stumbles anymore). A night light is a small light fixture that can add illumination to any dark areas, without interfering with your sleep. Night lights are ideal for nearly any room and people of all ages. Battery-powered night lights are also ideal in emergency situations. Night lights are also ideal for kids who are afraid of the dark. In fact, the vast majority of kids sleep with some sort of night light or light coming in from the hallway. Amazon's Choice for night lights, the Sycees 0.5W Plug-in LED Night Light can save you money on energy and bulb replacement, even if you use them all day, thanks to energy-efficient LEDs. The compact size won't take up much space or block the second outlet. It has a soft glow, auto on/off, and built-in sensitive light sensor. This is available in six-pack or eight-pack sizes. It's an Amazon best-seller and has over 3,000 five-star reviews on Amazon. Amazon's Choice for bright night lights, the Maxxima LED Night Light is the perfect solution if you need more substantial lighting. The night light has five bright LEDs and 25 lumens of light output. It has a light sensor and is one of the brightest night lights available. This can save you money on energy and bulb replacements, even if you use it all day. It's available in a range of colors and sizes. It's an Amazon best-seller, has more than 3,000 five-star reviews on Amazon, and is backed by a one-year warranty. 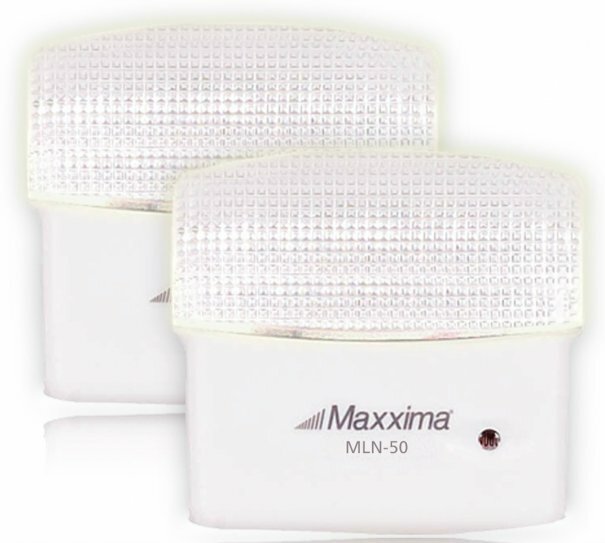 If you're looking for something smaller and slimmer, consider the Maxxima LED Plug-in Night Light instead. 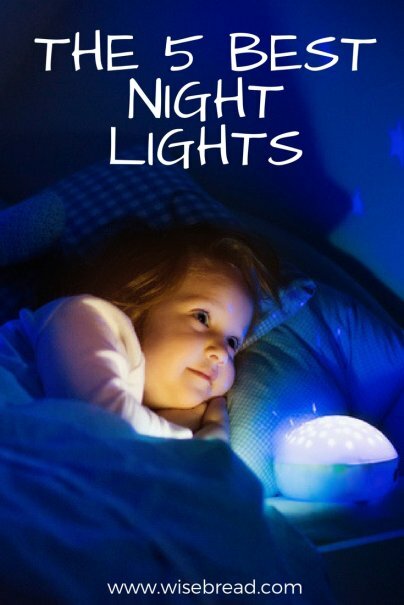 Amazon's Choice for toddler night lights, the Munchkin Light My Way Night Light is perfect for antsy toddlers who get up a lot during the night. It has a 20-minute timer, one-button operation, soft glow, and easy-grasp handle for ultimate portability. 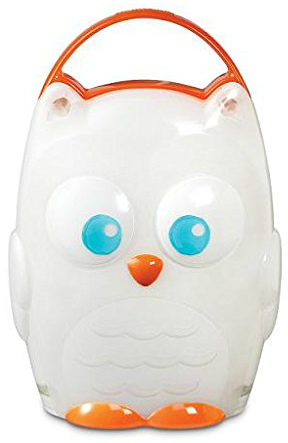 The owl night light looks cute and can help comfort your child to sleep. This runs on three AAA batteries (included). It's recommended by Parent Guide and has more than 1,000 five-star reviews on Amazon. Amazon's Choice for salt lamp night lights, the AMIR Salt Lamp, can improve your health. The natural Himalayan crystal salt light is an effective air purifier and offers better air quality, sleep, mental clarity, and overall well-being. It can also help boost your mood and emit negative ions from your home. 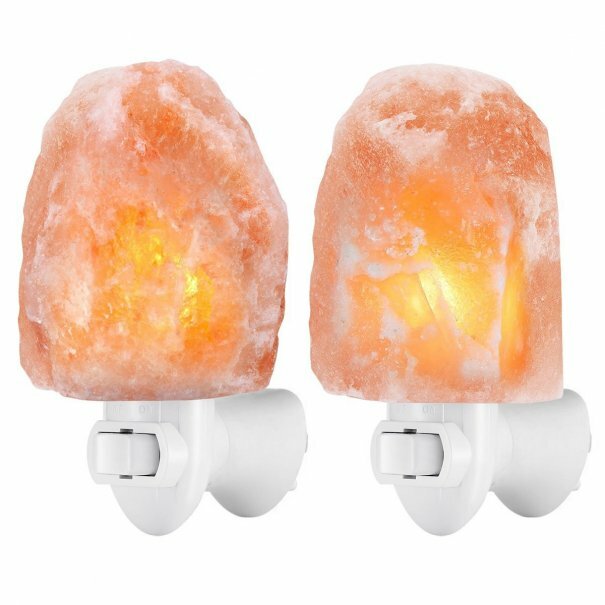 The salt lamp wall plug can be rotated 360 degrees for horizontal sockets. The stylish decorative lamp creates a romantic atmosphere and features a unique natural shape, color, pattern, and calming glow. Apartment Therapy recommends using a salt lamp as your night light and this Amazon best-seller is the best one available. It's backed by a 45-day money-back guarantee, 12-month replacement warranty, and lifetime support. 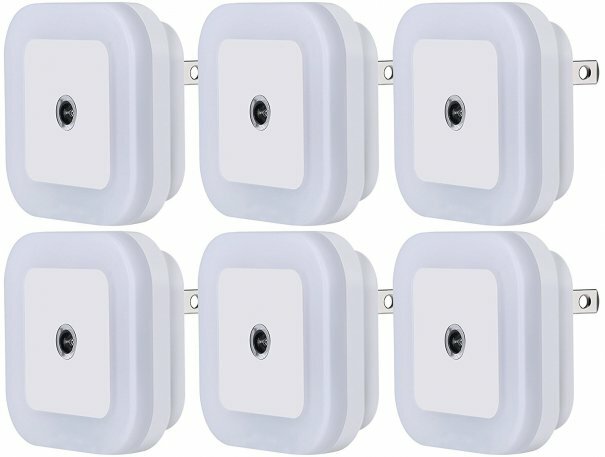 If you're looking for something more traditional, consider the best-selling AMIR Motion Sensor Light instead. The Ortz 16-Color Motion Activated Toilet Light can attach to any toilet and automatically turn on when it detects motion within 10-15 feet. 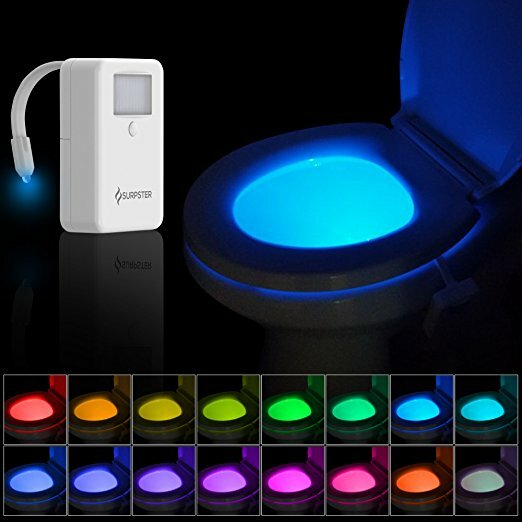 The multicolored LED toilet bowl light is a smart device that makes your bathroom more fun. Along with guiding your way for nighttime bathroom breaks, it can also make potty training fun. The energy-saving light has a soft glow with 16 colors and stays on for 60 seconds after the motion has stopped. This requires batteries (included) and is easy to install and clean. It's an Amazon best-seller and an Amazon's Choice product. It's also backed by a money-back guarantee and more than 500 five-star reviews on Amazon. And those are our recommendations for the best night lights. As always, be sure to check Wise Bread's Buying Calendar to learn when and how to buy just about anything!